Take a journey deep into the Sierra Madre. Explore vast jungle-draped hillsides, plow past rivers and water hazards, and discover remote swimming holes. Soak in the natural beauty of your surroundings, enjoying unparalleled panoramic views of breathtaking, dramatic landscapes. Within the Puerto Vallarta area there are several small-scale tour operators offering ATV tours, but there are two main large-scale professional ATV tour operators, and conveniently, their offices are located not too far from one another in Old Town (Romantic Zone) Puerto Vallarta just south of the Cuale River. You will need a valid drivers license and a major credit card. In addition to offering guided tours with hotel pick-up service, Cool Rentals offers a complete line of all the cool vehicles vacationers are looking to rent on their holiday. They have custom Jeeps lifted with big tires, wheels and rims, as well as stereos and chrome accessories. 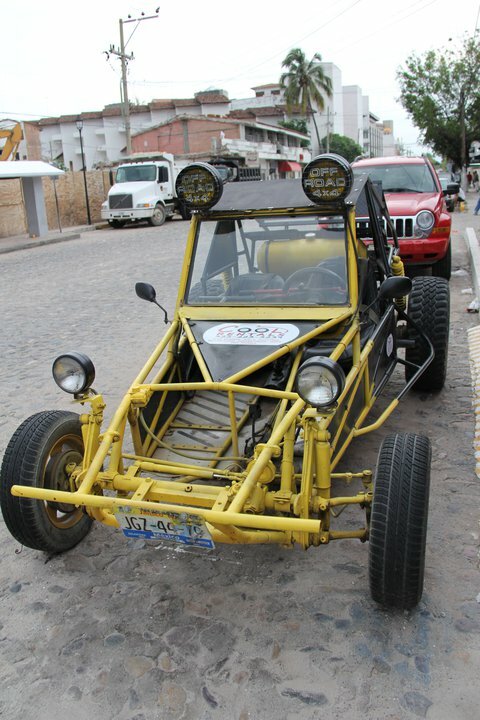 Their dune buggies are a variety of different body styles, fiberglass and sand rail or tube style with big tires and mag rims. They also have convertible cars, all-terrain vehicles, ATVs, Quads, and four wheelers. Their selection of motorcycles range from street bikes to dirt bikes and enduros. Cool Rentals has a large number of scooters all 150cc motors and bigger. Unique ATV tours is the only American-owned bilingual off-road tour company. They offer ATV, Rhino and dune buggy tours. They also offer fully automatic ATVs. Tours offered include: Rio Cuale Jungle Trek Tour, Predator Set & Nogalito Tour, Sierra Madre Extreme 4-Hour Tour, Sierra Madre Extreme 7-Hour Tour. Receive discounts of 10%-15% on all tours when booking online. Wild Treks Adventures provides amazing ATV tours in Puerto Vallarta as well as in Nuevo Vallarta, Riviera Nayarit. They offer ATV rentals and dune buggy rentals, as well as a combination canopy tour /ATV tour to the most beautiful places in Puerto Vallarta and Bahia de Banderas. Tour guides are bilingual. Discounts on tours are available for online bookings.